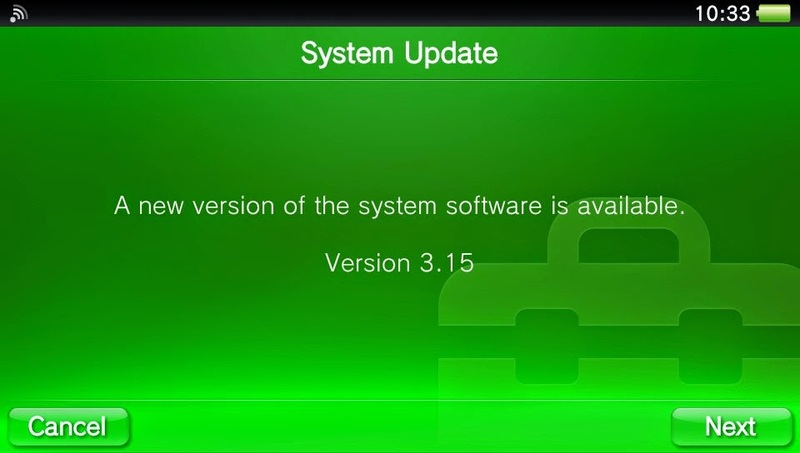 After the major PS4 1.70 firmware update PS Vita also has a new firmware update mainly to improve the remote play. Sony Computer Entertainment today announced the release date for the much awaited and delayed exclusive PS4 racer DriveClub.The good news are that the game looks absolutely stunning and worth the wait but we have to wait till October to enjoy it. SOF Studios released a gameplay action footage from their tactical, military-inspired shooter, H-Hour: World’s Elite the spiritual successor to SOCOM.Gameplay was captured from various play sessions across the UK, US, and Canada. Bungie's Destiny one of the most awaited games of the year is coming in about 4 months from now.Today Bungie released many new information about their new IP and gameplay videos with the game running on the PS4(lead platform). Oddworld staff and Just Add Water have been working hard to ensure that Oddworld: New ‘n’ Tasty is the game that all the fans are waiting for,with the best possible gameplay,amazing visuals and innovative sound design. 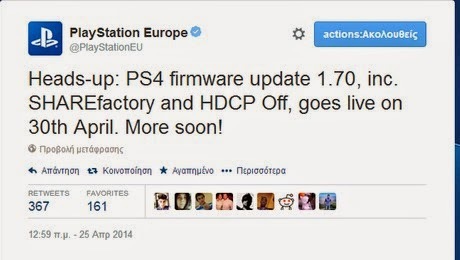 Sony has just announced via the official twitter account that the much awaited major PS4's firmware update 1.70 will be available from April 30th. Watch Dogs Ubisoft's highly anticipated open world action title is only one month away(May 27th) and a lot of videos and screenshots released showcasing the game. Minecraft the hit indie sandbox game is already available for the PS3,but it has been so long when the news about the PS VITA Minecraft version(being based on the console versions)were revealed back in November.Mojang’s Owen Hill has shared some new information about the PS4 and the PS Vita versions answering some comments on the EU Blog post announcing a retail release for the PS3 version. Activision's highly successfull toys-to-games franchise,Skylanders is coming back this fall for PS4 and PS3(unfortunately no PS Vita version again). Project CARS a racing simulation game developed by Slightly Mad Studios is coming for the PS4 in November.The trailer of the game "The Ultimate Driver Journey" shows off the amazing photorealistic visuals. The first two episodes of The Walking Dead: Season Two are now available to download from the PS Store for the PS Vita.Each episode is £3.99,€4.99 or $4.99 – or you can save 20% over purchasing each of the episodes individually by getting the Season Pass. 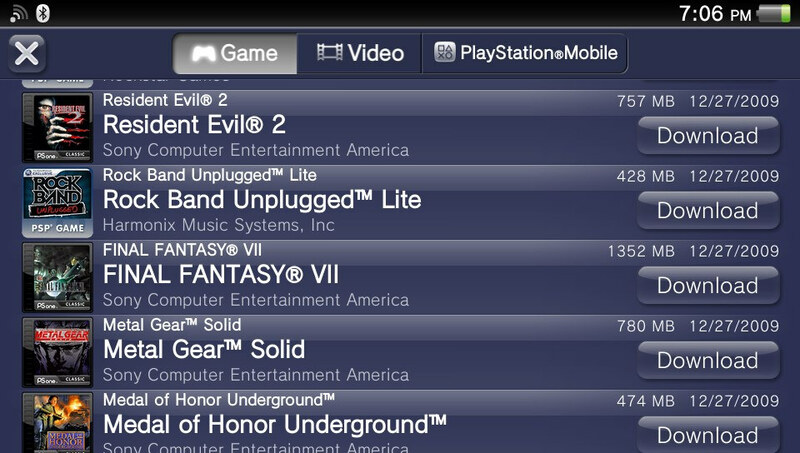 In a sudden and non expected move Sony made almost all the PSOne classics and PSP games compatible with the PS Vita.Games that weren't compatible before like Crash,Spyro and PSP games like Gran Turismo,Modnation Racers,Metal Gear Solid Portable ops are now downloadable from the PS store and playable on the PS Vita. 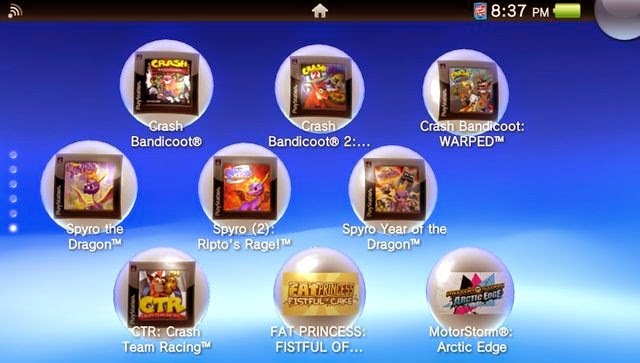 May will be an interesting month for the existing and hopefully many new PS Vita owners,as some high profile titles are coming along with the arrival of PS Vita Slim in North America. A new gameplay trailer has been released for The Sly Trilogy showcasing the excellent port of the three classic PS2titles made by Sanzaru games.The collection is already out in the European PS store and the retailers but be cautious it is cross buy only for the digital version and costs 25euros.North American PS Vita owners will have to wait about a month as the game release date is set for May 27th. Bethesda Softworks released an actual gameplay video for the upcoming FPS Wolfenstein:The New Order.The game is currently planned for a May 23rd release for both PS3 and PS4. 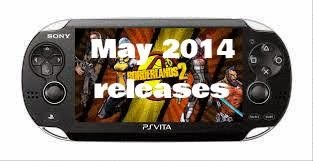 PS Vita is the best handheld ever created,but it doesn't have the exclusive titles that will "force" people to buy it.Sure there are some great examples such as Uncharted:Golden Abyss,Killzone Mercenary,Tearaway,Little Big Planet but that's not enough after 2 year that the machine has been in the market. 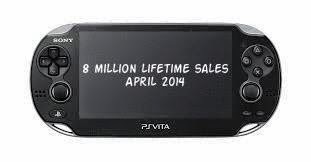 According to vgchartz,PS Vita has sold over 8 million units worldwide.In 2014 Sony's handheld has sold about million 1 units so far. MechRunner a new endless-style action game mixed with fast and furious mode-changing mech action!The game developed by Spark Plug Games and powered by Unity Engine, MechRunner will be available on PS4 and PS Vita this July and has been in the works for over a year now. Tales of Hearts R first launched in Japan on March 7, 2013 and now Bandai Namco is bringing the RPG title in North America and Europe this winter,as it was officially announced. Treasures of montezuma is coming back for the PS Vita after two year.One of my most played PS Vita games is getting a very interesting sequel with new modes including multiplayer! 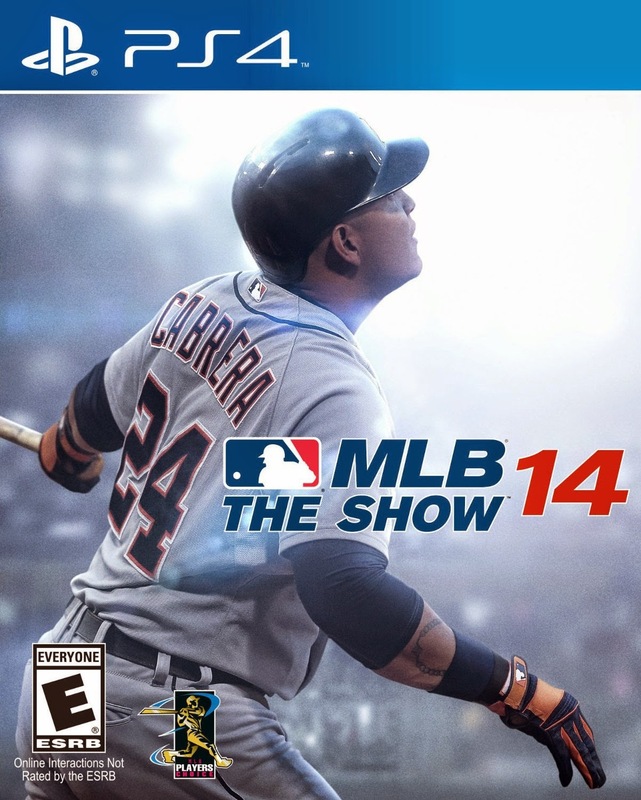 SCEA San Diego Studios has unveiled the first ever Playstation 4 Trailer for the highly anticipated MLB 14 The Show,which is launching on the 6th of May. 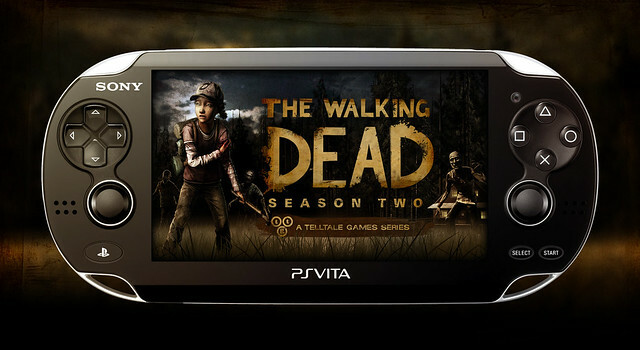 After all the delays finally The Walking Dead: Season Two first two episodes for the PS Vita will be available next week after the PS store update. (22th NA,23TH Europe). The two PSP Silent Hill games(Origins and Shattered memories) are coming to the PlayStation Network for the PS Vita.No firm release date announced yet,but each game will cost 9.99Euros or 7.99pounds. Natsume, Inc.,purchased the license from Taito, a subsidiary of Square Enix,announced the release of Bust-A-Move 4 for the PlayStation 3, PS Vita and PSP via the Playstation Network. 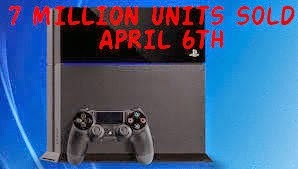 Sony Computer Entertainment just announced that PS4 has sold through more than 7.0 million units globally as of April 6th, 2014.PS4 software sales are great too with more than 20.5 million copies sold at retail and PlayStation Store worldwide as of April 13th, 2014. We have already informed you about the next major update for the PS4 and now Sony revealed some new information about the new features that will be available in the next few days. Guerrila Cambridge are always supporting the game to bring fans new content. A few weeks back they released two classic multiplayer maps and this week they’re introducing the BotZone Training Pack which will deliver an offline multiplayer experience. BotZone will have all eight of the multiplayer maps available offline in Mercenary or Guerrilla Warfare modes. You can go against up to seven A.I controlled foes and you’ll have control over the amount of enemies or teammates in each battle. In team mode you can make it so you can have a team of three go up against one A.I or have three A.Is go up against you. The A.I. in BotZone will have unique behaviors such as: Vanguard usage, zip line navigation, interrogations, rescues, capsule hacking, and valour card collection. The A.I. will also be using many of the game’s different loadouts as well. This update will also bring some tweaks to the game that will fix some of the hit detection issues that players have pointed out. This means that this update will be mandatory for anyone who wants to continue playing online. Also, for those who like to collect trophies, you can now get them in BotZone to make things a tad bit easier although these trophies will still be challenging to obtain. 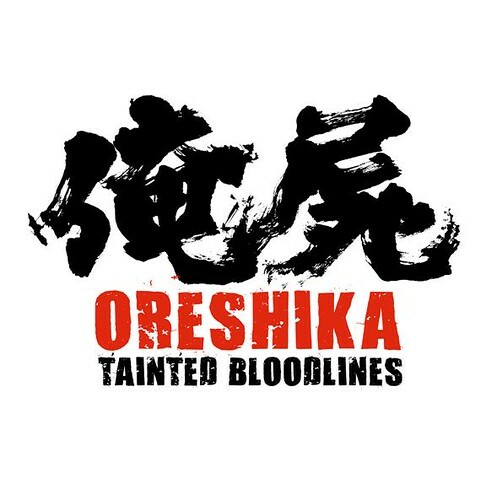 Known as Over My Dead Body 2 in Japan,Sony announced the Western release for the PS Vita of JRPG Oreshika:Tainted Bloodlines.No release date or trailer yet. Freedom Wars for the PlayStation Vita was revealed for Japan about a year ago, and now finally it’s been confirmed for a 2014 release in North America and Europe. 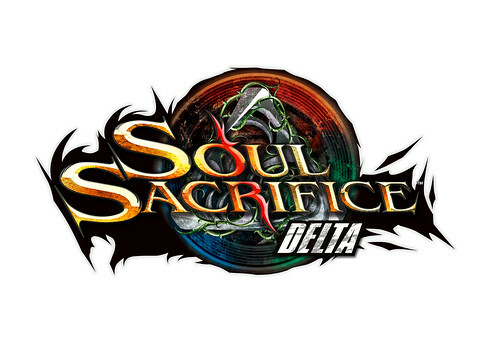 Soul Sacrifice Delta will be coming to the western markets in May(13th NA,14th Europe) as Sony announced.The expanded ultimate edition of last year's hit PS Vita title includes many improvements and content. 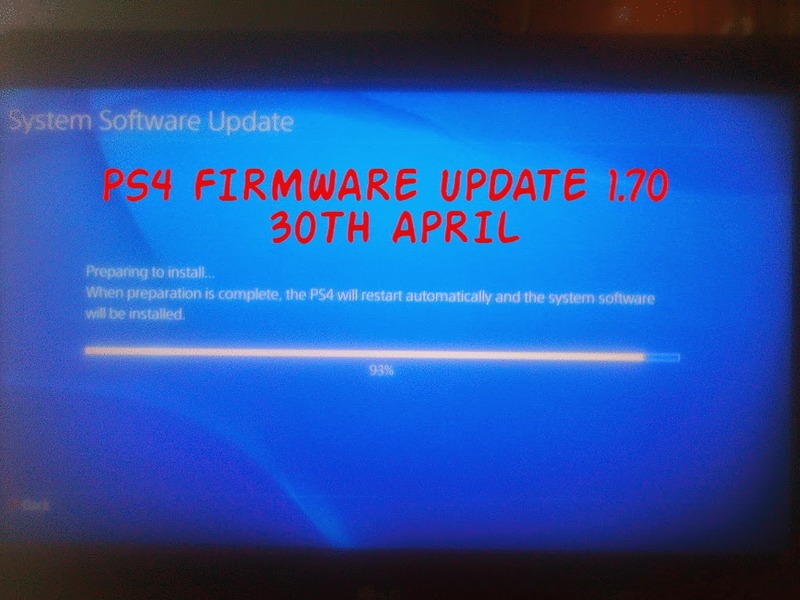 PS4 Firmware Update 1.70 coming next week? 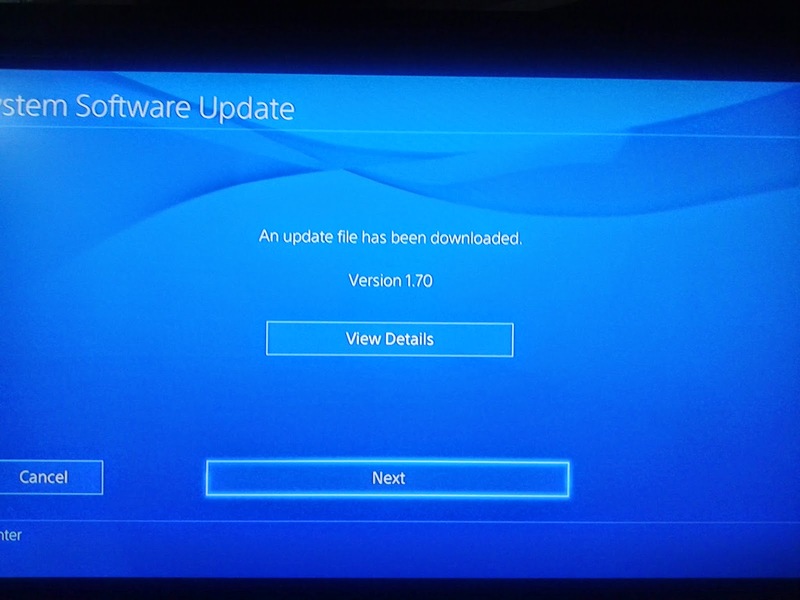 PS4 Firmware Update 1.70 will be focused on the way you can share your images and gameplay footage captured from the console.Sony has already announced some of the new features about a month ago,but there was no release date. 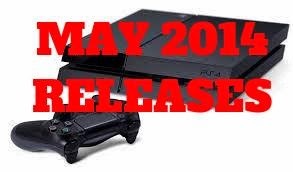 After all the leak and rumors Sony announced today via the official PlayStation blog that Dead Nation PS Vita version will be available from April 15th NA and one day later in Europe. Yesterday a rumor spread all over the internet about a next week release of Dead Nation for the PS Vita.Dead Nation is ready and as you can see from the pictures below and the gameplay video it is a very good port. 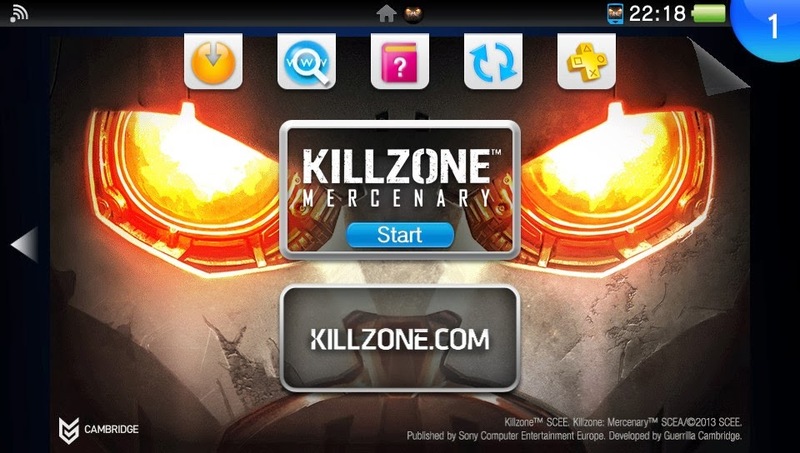 Killzone Mercenary botzone release date revealed? 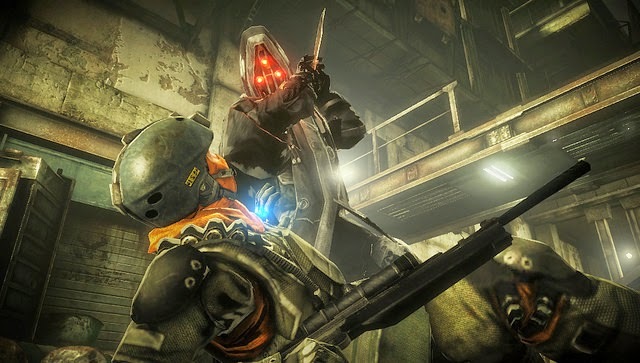 Killzone Mercenary long awaited offline botzone mode is well known that had a release date of April.Last week information from twitter were that there were some issues just before releasing the botzone and the team had to fix them. Sly Cooper Collection is coming this week for European PS Vita owners(NA release is May 27th) featuring the original three Ps2 classic titles. Sony Computer Entertainment Japan and Asia have released a new trailer of the upcoming PS Vita exclusive Freedom Wars(out in Japan on June 26th).No western release date at the moment,but the game will be localized as it is a first party title. Aksys has finally announced the release date of the next BlazBlue game for the PS Vita.BlazBlue: Chrono Phantasma will be available both from retailers and digital on June 24th. Accordind to destructoid Tribute Games is working on a PS Vita port of Mercenary Kings and it will be out as soon as it's done including cross features( cross buy too). Dead Nation PS Vita version coming next week with cross buy support? A member of the Danish press,Hanmik shared some information on Neo Gaf about the PS Vita version of Dead Nation.He said that he has a review copy of the game that has a release date of April 16th in Europe. Cult County is on a kickstarter campaign to bring First Person Horror back on the PS4 and the PS Vita.Indie Developer Renegade Kid, creators of Dementium, Moon Chronicles and Mutant Mudds will create an all-new first-person survival horror game that blends the episodic story-telling of The Walking Dead with the classic tension-filled exploration and action of Silent Hill and Resident Evil,in a new scary,fresh and exciting experience,if the game is funded.